Offering a clean, simple design on a functional frame, this contemporary sofa sleeper will make a great addition for your home. 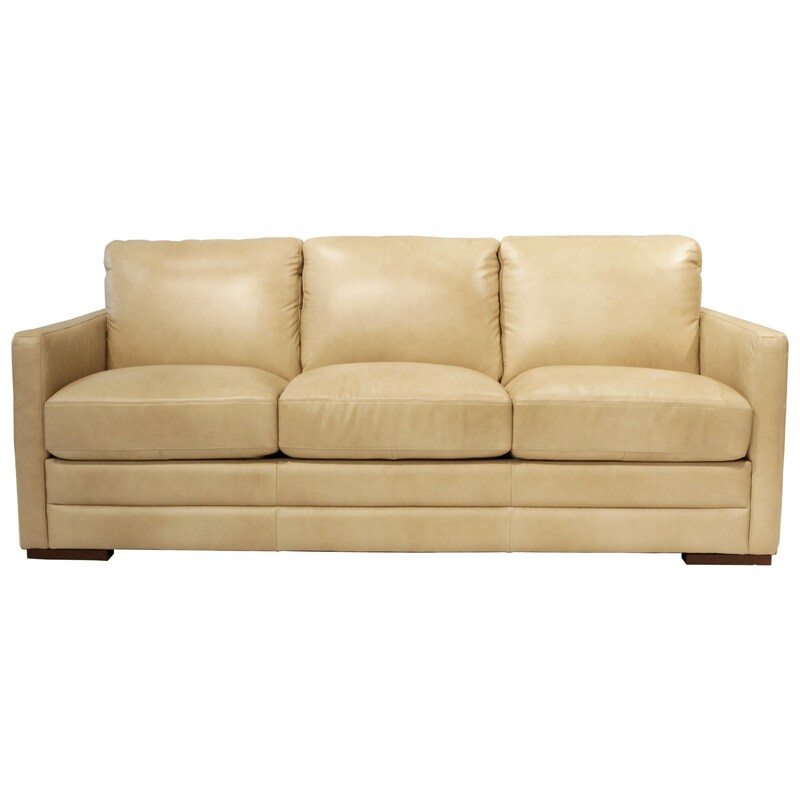 Track arms, boxed cushions and short block feet create the sophisticated modern look of this piece. Built with versatility in mind, this sofa sleeper allows you to house overnight guests with the queen mattress tucked under the seat cushions as well as entertain friends and family while using this piece as a traditional sofa. The Monica Queen Sofabed by Futura Leather at HomeWorld Furniture in the Hawaii, Oahu, Hilo, Kona, Maui area. Product availability may vary. Contact us for the most current availability on this product.